Time for another challenge over at MTTC, this week it's 'More than one fold (but no Easels)', I made this kenetic card a while ago, before I became sick, hopefully I will be back on form soon, 'cos it's driving me nuts, dragging on so long. 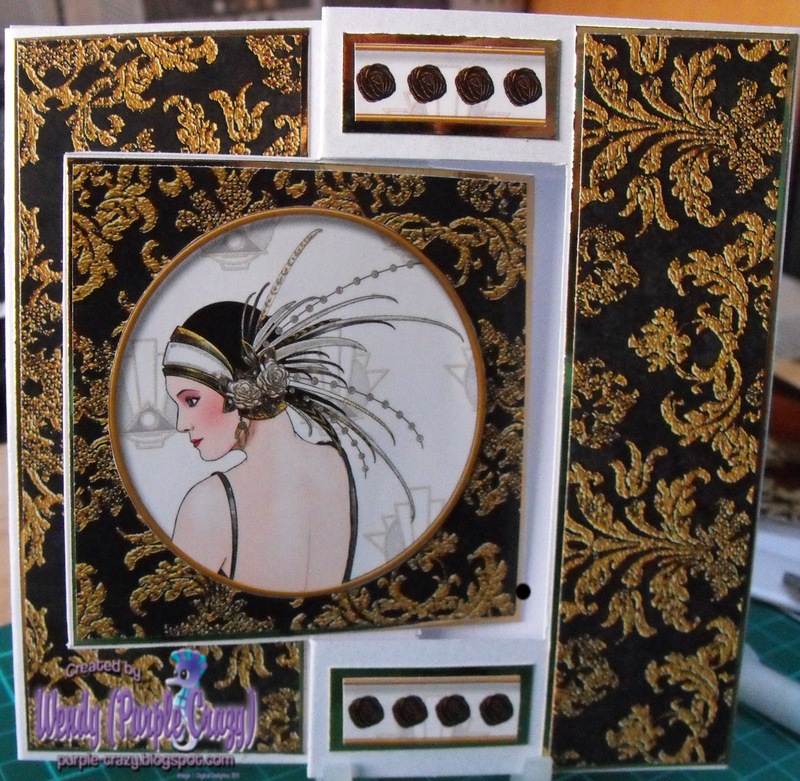 I used papers and image from Debbi Moore which were freebies I got in her bi monthly mag. All finished off with some glitter on the headress. Gorgeous creation hun, love folds & papers! Beautiful card! Wonderful image, DP and great style! A truly lovely card, even though I'm not a lover of Debbie Moore's things. It's what YOU have done with it that makes it something special. I am so, so sorry to read that you aren't well ... again! Wish I could wave a magic wand for you. Thinking of you and wishing all the very best. Love the style of this card and the image is beautiful too.